Today I want to talk about superannuation. No! No! Don’t stop reading. Yes, I know that many readers of this site are below thirty, so that an article on superannuation has about as much appeal as a discussing aged accommodation and colonoscopies. But it is not your superannuation I want to talk about. It is your parents’. The sad fact is that the current superannuation scheme is designed to benefit the baby-boomer retirees at the expense of their children. Let me explain. Superannuation has two components. First, there is a pre-retirement part that involves compulsory savings that receive preferential tax treatment. Second, there is a post-retirement part where retirees use their superannuation savings to fund their retirement without having to rely (as much) on the taxpayer-funded old-age pension. These parts are linked. 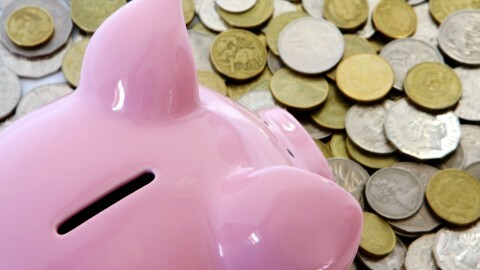 The preferential tax treatment for superannuation savings should encourage pre-retirement savings and reduce the government’s pension payments post retirement. But the current superannuation system is failing. And a little economics shows why. A standard part of undergraduate microeconomics is the simple model of individual decision-making and the allocation of lifetime earnings between ‘today’ and ‘tomorrow’. An individual allocates her earnings over her lifetime to maximise her lifetime utility. If she earns a lot ‘today’ but little ‘tomorrow’, she will probably want to save today. The reverse will occur if she earns a lot tomorrow and little today. The individual will want to borrow today and pay back the loan from future earnings. In technical language, the individual will borrow or save to equate her marginal utility of consumption ‘today’ with her marginal utility of consumption ‘tomorrow’. This is a simple but incredibly powerful model. So let’s apply it to superannuation. In the absence of superannuation, most workers receive more money pre-retirement (i.e. today) than they receive from a government pension post-retirement (i.e. tomorrow). So workers will save today and use some of those savings to fund a better lifestyle after they retire. Now let’s introduce compulsory saving ‘today’, called superannuation. What changes? If the amount an individual would save ‘today’ without superannuation is more than the amount they are forced to save through superannuation, nothing happens. The individual will save about the same amount with or without superannuation. But what happens if the amount an individual would save ‘today’ without superannuation is less than the amount they are forced to save through superannuation? In that case the individual is forced to save ‘too much’ today. She will have an incentive to reduce this savings. Of course, this is easy to do. Simply borrow some money today. When she retires, she can use her superannuation payout to payback the borrowed funds and behave pretty much the same way as she would have behaved without superannuation. So what is the prediction from this simple model? To the degree that superannuation forces increased savings by workers, it will tend to encourage offsetting borrowing. Overall, workers will not save significantly more for their retirement and the government will not reduce future pension payments. Is this prediction correct? Looks like it! “At best, all that has been achieved is to make some savings compulsory instead of voluntary, and quarantine these savings until retirement age. Overall, these enforced savings, locked up until a person retires, have been largely offset by similar if not larger private borrowings”. “Households have effectively offset the superannuation savings with increased levels of personal debt”. So if you don’t want to pay for your parents’ retirement through your taxes, how do we reform the system? 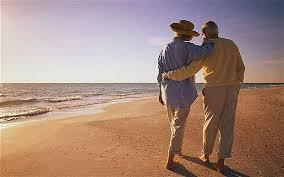 The old-age pension must remain a key element. 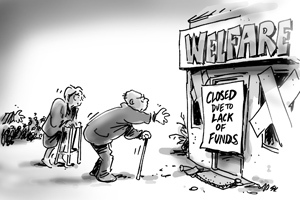 This provides a welfare net to protect the poorest retirees. But the superannuation system should encourage those who can to save to provide for retirement without allowing them to organise their affairs to access the (full) government-funded pension. Our pre-retirement system works quite well to achieve this objective. The problem, however, is post-retirement. A retiree can take her superannuation savings as a lump sum. This means that pre-retirement, she can borrow knowing that, upon retirement, the lump sum can be used to payoff the debt. A bit of accounting ensures that any remaining superannuation lump sum payment does not lead to income or assets that breach the thresholds for the pension. By allowing superannuation to be taken as a lump sum, an individual can ‘undo’ the objective of compulsory superannuation. So the solution is simple. The government needs to change the rules so that post-retirement, superannuation payments can only be taken as a lifetime annuity. In other words, at retirement, superannuation funds must be turned into a stream of annual income that the retiree receives every year until he or she dies. Annuity income would be offset against any pension payment, either on a fractional basis or on a dollar-for-dollar basis. So the burden of supporting retirement would be on the retirees themselves, not the taxpayers. Requiring superannuation to be taken as an annuity is not a new idea. Indeed, many other post-retirement systems around the world work on this basis. But it requires two changes. First it requires the government to change the law. And that means upsetting a large number of baby-boomers who have planned to take their superannuation as a lump sum. Second, it requires an institution that will fund the annuities from the superannuation savings. This could be a private organisation, although private institutions appear reluctant to take on the risk associated with a lifetime annuity. A few medical advances that extend life expectancy and a private provider could find that they are bankrupted by annuity-recipients living longer than expected. Of course, this risk could be put back on retirees, so the annuity lasts, say, until you are 80 years old. But do we really want to see our oldest retirees suddenly losing their private income and being forced onto a lower government pension? A better solution is for the government (or, more correctly, the taxpayer) to take the risk. After all, the aim is to reduce government liabilities by reducing the need for the old age pension. And the government is likely to be the residual risk-taker anyway, as retirees would move back onto the pension when their annuity runs out. So the government could underwrite the annuities, perhaps allowing a private body to manage the scheme. So how should we reform superannuation so that your parents do not rip you off? First, require superannuation to be taken as a life-time annuity post-retirement. Second, have the government take on the ‘life expectancy’ risk by underwriting the annuities.